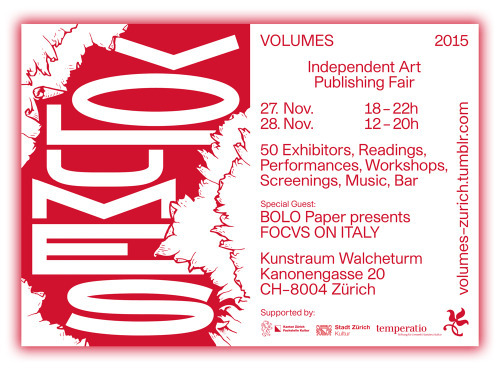 The third edition of VOLUMES  Independent Art Publishing Fair  returns on Friday 27th and Saturday 28th of November at «Kunstraum Walcheturm» in Zürich. 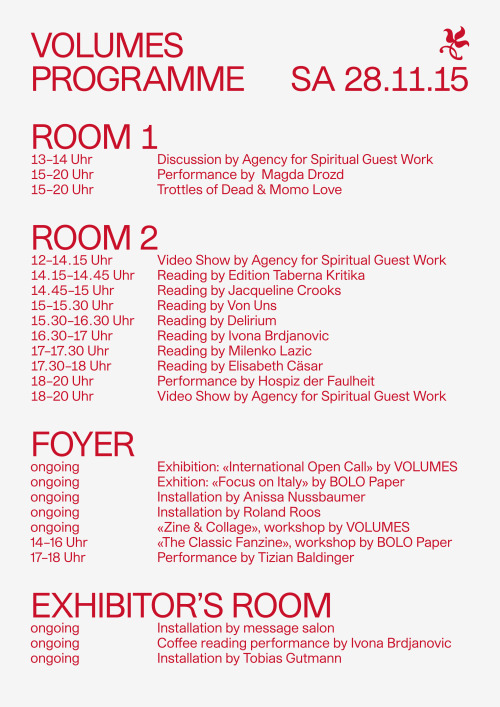 The fair will present a fine selection of local and international artist and art books, zines and magazines. 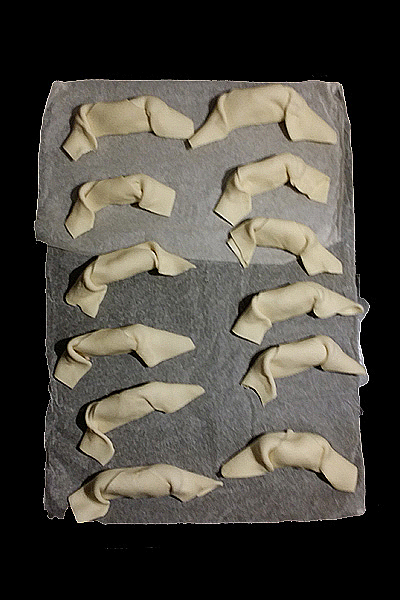 This hybrid event will also feature a range of performances, exhibitions, screenings, readings and workshops.